ERA Environmental Management Solutions will be sponsoring the work that will be done at the first annual Alabama E3 Sustainability Conference. 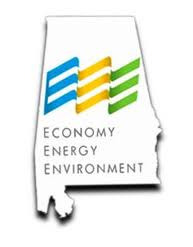 Alabama E3 is designed to assist manufacturers be successful and profitable through the implementation of sustainability, waste-reduction, and more efficient programs. So far the Alabama E3 has helped over 40 manufacturers, and saved over a million dollars through sustainable programming. The Alabama E3 Sustainability Conference, taking place August 23 and 24, will feature a keynote speech from the Managing Director of Green Innovation for Nascar, Dr. Michael Lynch. It will also provide training for sustainable manufacturing practices, and energy saving. You can get involved in the E3 network here. Come by and say hello to ERA's environmental experts while you're there!